This Cesar Arellanes two-tone dress in heather blue features a stitched tan floral design throughout, crew neck, mesh detail above the bust and dark blue front and side contrast panels. 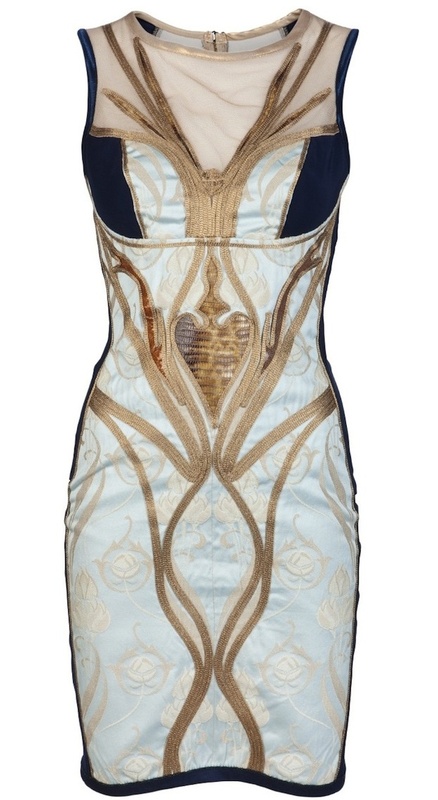 The sleeveless dress has a metallic trim detail throughout and an exposed back zip fastening with hook and eye closure. Cesar Arellanes’ designs have been worn by many celebrities ($2,130).